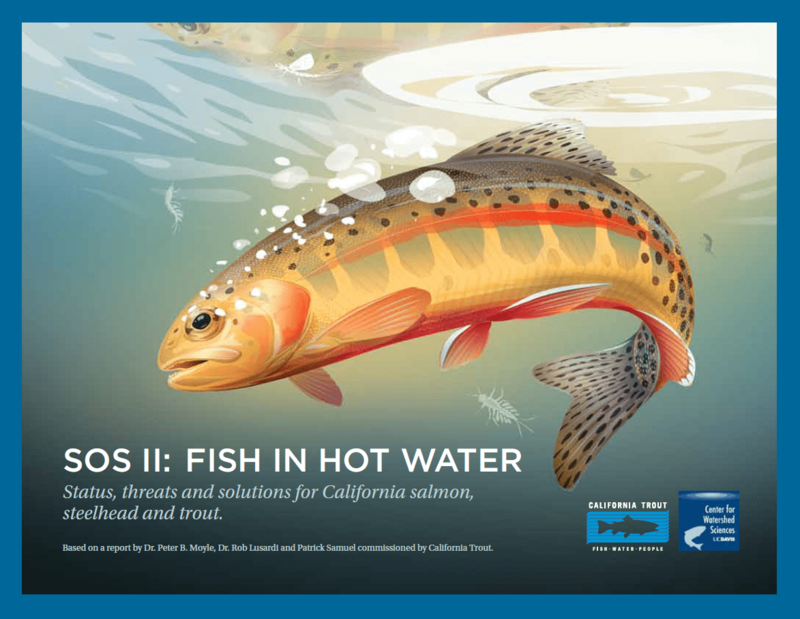 Matilija Dam | California Trout, Inc.
Matilija Dam is located in the Ventura River watershed on Matilija Creek, north of Ojai. The concrete arch dam, built in 1947, was originally designed for water storage and flood control. Scissors painted on the dam by graffiti artists in 2011 have become an iconic symbol for dam removal. 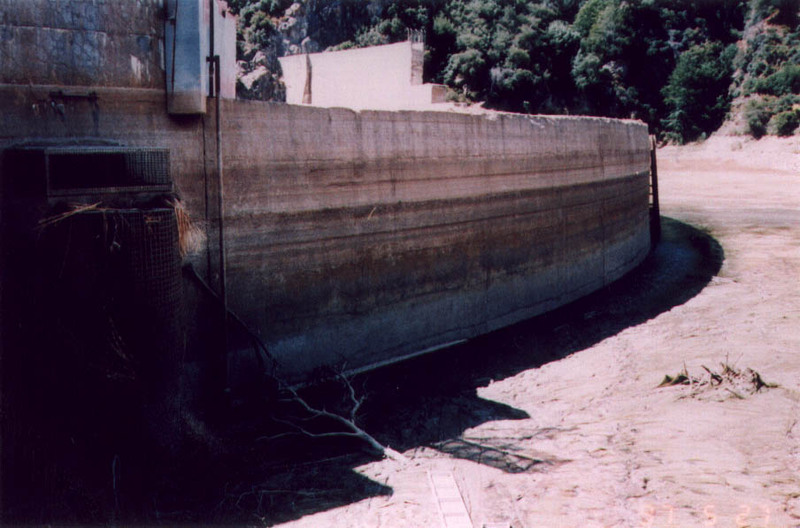 The reservoir behind Matilija Dam is almost completely filled in with sediment, significantly reducing storage capacity to the point of rendering the dam nonfunctional. 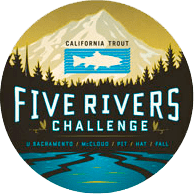 With no fish ladder or bypass structure present, it is a complete barrier to the migration of endangered Southern California steelhead. 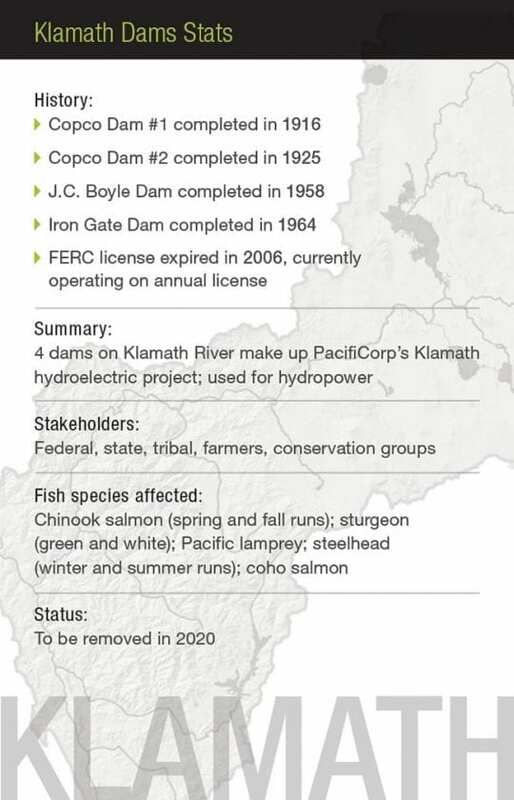 The dam also causes increased water temperatures, an altered flow regime, and deprives the lower watershed, estuary, and beaches of sediment. 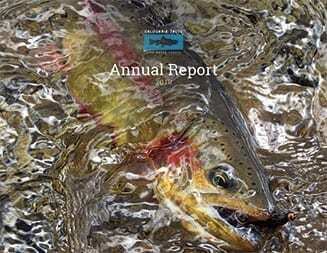 Southern California steelhead are an incredibly important species because they evolved in seasonally disconnected systems and are able to survive in warmer waters than are other steelhead populations. With only an estimated 500 individuals remaining, this life history trait makes this a particularly valuable population to protect in the face of climate change. 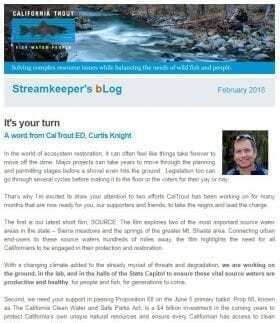 Dam removal will reconnect access to critical steelhead habitat and help with the recovery of steelhead in Southern California. 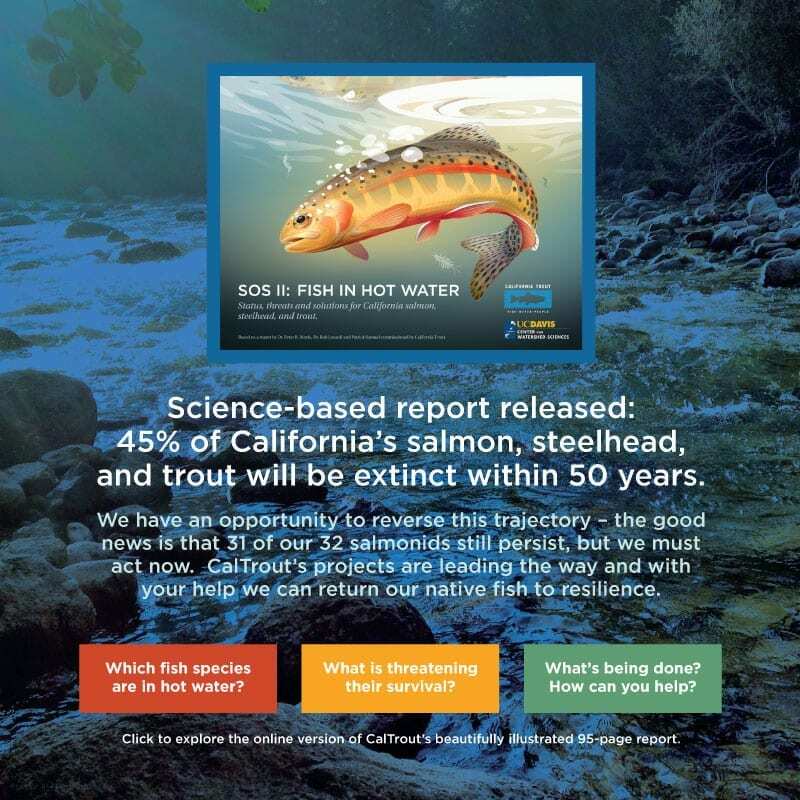 The removal of Matilija Dam will restore access to 17 miles of spawning, rearing and foraging habitat above the dam. 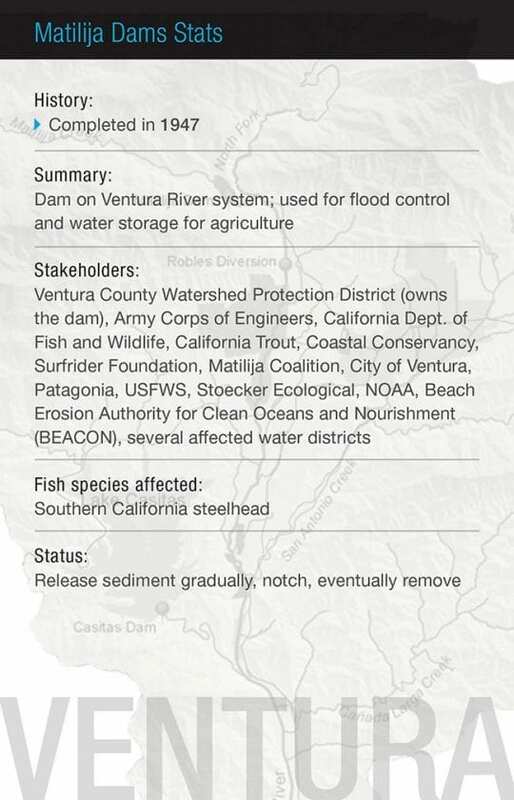 For almost 20 years a broad coalition of community groups and resource agencies have been advocating for dam removal and working together to develop a comprehensive strategy to restore the Ventura River. 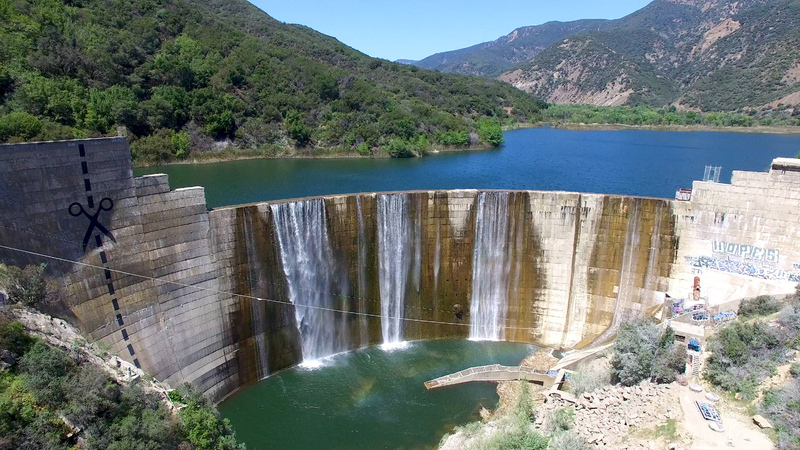 Ventura County officially made the decision in 1998 to remove the dam altogether. Congressional approval for a preferred preliminary design was obtained through the Water Resources Development Act of 2007, but was not funded. 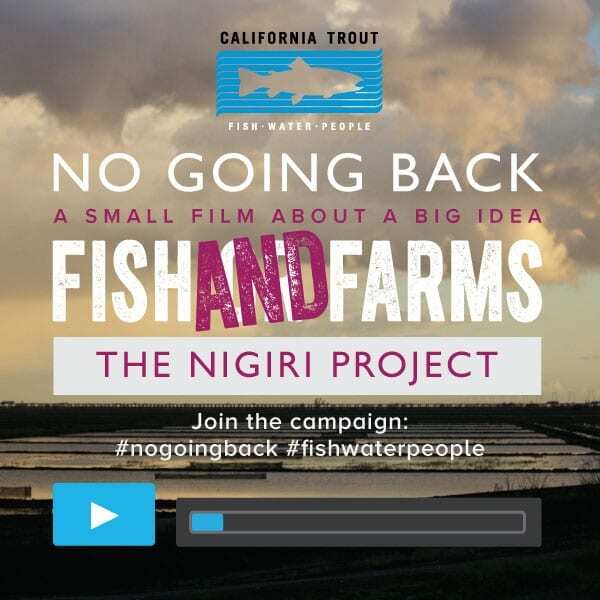 The Matilija Dam Ecosystem Restoration Project will cost millions of dollars and the lack of dedicated funding has been a major impediment to action. 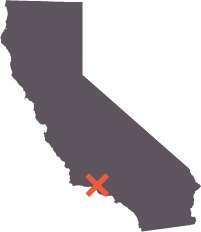 Other factors, such as determining the proper sediment release strategy, the need to modify downstream roads, levees and bridges, and the effect of the Thomas Fire on the landscape all add to the challenges of the undertaking. Regardless, all stakeholders agree, Matilija Dam must come down. In March 2016, the group overseeing design alternatives voted in favor of a removal plan. The approved alternative will use two boreholes in the dam itself to erode and transport as much sediment as possible during the first few high flow events once they are opened. This concept represents a “natural transport” alternative that concentrates the bulk of transport of the trapped sediment to the first few storm events. 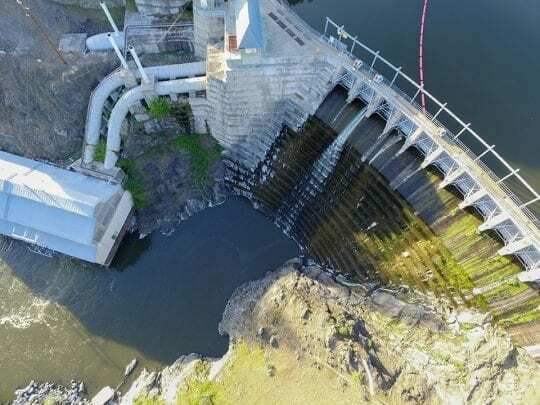 This alternative will minimize ecologic impact downstream and also lower the overall project cost by reducing the need to truck material out of the reservoir. Current projections estimate that once the boreholes are opened, complete dam removal and a free-flowing river will be achieved in two to five years. 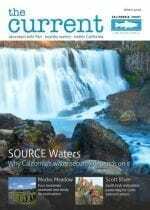 Releasing sediment through placed boreholes was demonstrated with success in 2011 on the Condit Dam in Washington State. Currently, the technical studies and planning needed to execute this alternative are ongoing. The Matilija Dam Ecosystem Restoration Project funding committee is actively pursuing all funding strategies to complete the required upgrades to bridges, roads and levees and fully fund dam removal. 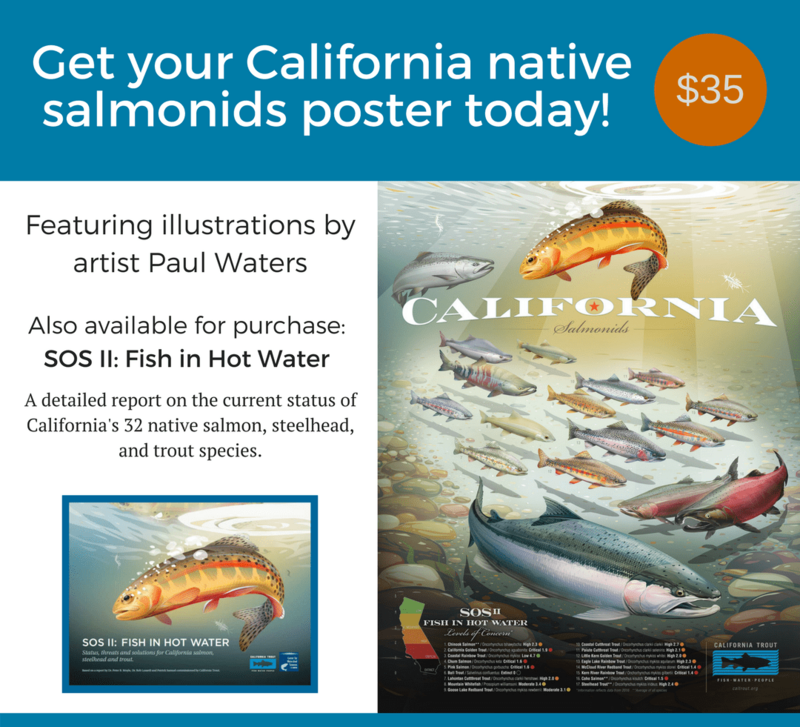 In May 2017, with resources from a California Department of Fish and Wildlife Proposition 1 grant, the project secured funding for the next step of the dam removal process. This is the back side of the dam with the water drained out of the reservoir. Matilija reservoir is full of sediment, about 6 million cubic yards to be exact. This has reduced its capacity by over 90% rending it an obsolete structure that no longer serves a purpose for flood control or water storage. The dam’s effectiveness as a sediment trap has resulted in the erosion of beaches downstream that rely upon the Ventura River. 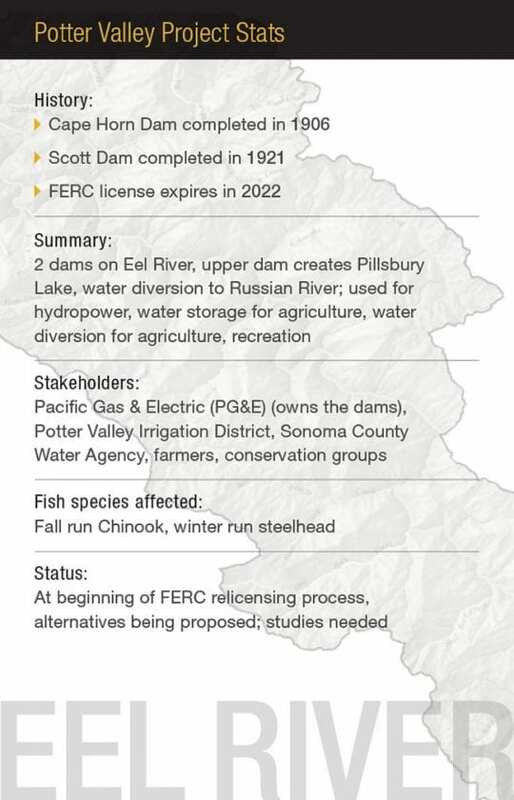 The reservoir storage is predicted to be zero by 2020. So what’s the plan to remove the sediment? 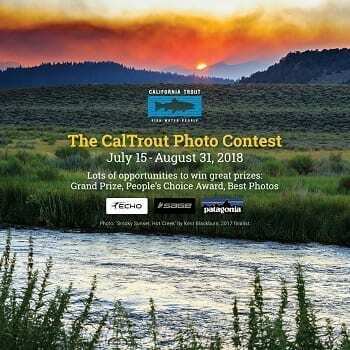 It’s called “Full Dam Removal with Short-Term Sediment Stabilization on Ste” and under this plan, immediate passage will be restored for the native steelhead trout, and controlled releases of sediment will gradually restore the natural riverine processes that nourish coastal beaches. 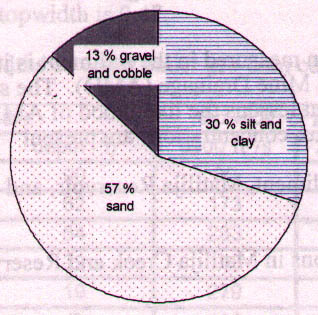 The fundamental challenge with dam removal is sediment management. 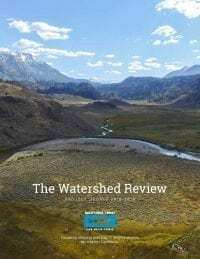 The Feasibility Study determined that “Full Dam Removal with Short-Term Sediment Stabilization” was determined to be the best overall concept, given the watershed hydrology and constraints. The primary design constraint is floodplain development downstream of the dam. Residences, roads and bridges, and water supply facilities all need to be protected under any project alternative. Approximately 2 million cubic yards of fine sediments currently trapped in the reservoir area will be slurried downstream. 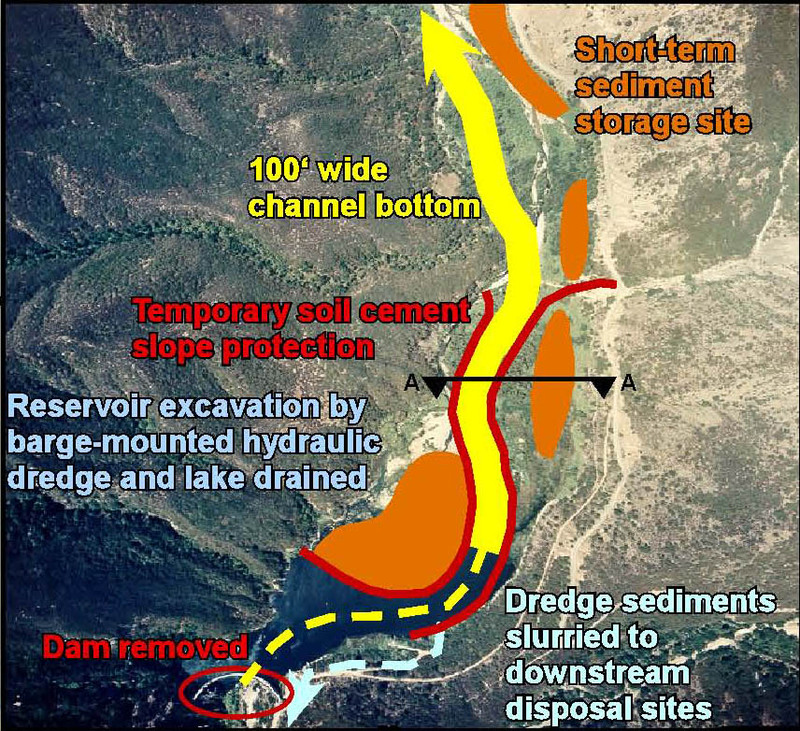 The remaining 4 million cubic yards will be stored upstream of the dam site as illustrated. Matilija reservoir consists of 6 million cubic yards of silt, sand, gravel, and cobble.